When you call us, you are getting a trained professional who is up to date on the latest cleaning techniques available. Our technicians are highly trained and experienced in cleaning all types of carpets, area rugs, Orientals and specialty rugs. You will always receive a FREE estimate, and you can be sure that we will treat your Home or Business with the care you deserve and expect. We're available 24 hours a day, 7 days a week, day or night, weekends and holidays, to handle your emergency, promptly and professionally. Serving the Greater Sarasota and Manatee Counties including the islands for over 25 years! 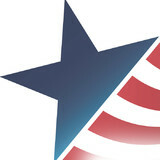 We honor 30 day guarantee on most services provided. Our technicians are trained and certified by the IICRC and the owner himself. 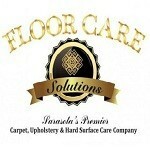 We provide Carpet, Upholstery, Tile & Grout Cleaning. Floor Care Solutions uses only the best, most state-of-the-art cleaning equipment and cleaning solutions in the industry. Floor Care Solutions cleans and maintains exquisite furnishings and floors daily, and has been a valuable resource to Realtors, building owners, interior designers and homeowners since 1999. Cleaning tile, grout, oriental rugs, area rugs, carpets and furniture upholstery is our niche, and we take pride in our work! Don't replace your flooring if you don't have to. 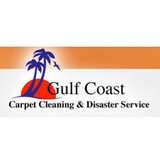 Certified Flooring Services of SWFL specializes in carpet repair and other flooring services. Our family owned and operated company has over 15 years experience in carpet repair, carpet re-stretching and installation. We also offer spot dying, tile repair, color sealing grout, pet stain removal and many other services that can affordably extend the life of your flooring. Aloha Carpet Care is in the business of providing carpet, tile and grout, and upholstery cleaning superior services at a rate that beats the competition. Our work is guaranteed to your satisfaction. We will give you an honest, fair estimate of our services and will arrive promptly on time to do the work you want done. 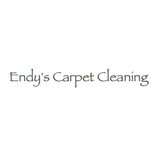 Complete Carpet Care cleans carpet, tile and grout, upholstery, area rugs and oriental carpets. We also offer pet stain and odor removal. Restore your carpets and rugs to their original condition. Let the professional carpet cleaners at Lee Carpet Cleaning Inc in Cape Coral, FL provide you with first-rate carpet cleaning services. Our team is fully trained and equipped to clean a wide range of surfaces, including floors, floor coverings, and upholstered furniture. We have been serving all of Lee and Collier Counties since 1989. What should I look for in a local Tice carpet cleaner? Not all Tice carpet cleaning companies use the same methods, but there are a few common things that they should do to for a quality job. Make sure they do an analysis on the area you need cleaned and recommend the best course of action — are there large stains or high-traffic areas that need extra treatment or attention? Also, make sure they provide quick drying times so that you can be back in your home faster; that means hours, not days! 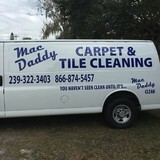 A good carpet cleaning service in Tice, FL should move furniture (within reason) and put it back in place when they are all done; don't let them charge extra to do this. Another important factor to look out for is whether or not the carpet cleaners use chemicals, and if so, they should be asthma- and allergy-friendly. This is especially important for households that have children or pets. Lots of Tice carpet cleaning services also clean rugs. Rug cleaning can involve anything from a simple wash to complete re-weaving or foundation work. Make sure the local rug cleaner you choose has experience with the types of rugs you need serviced, especially if they are hand-woven or Oriental rugs. What should I look for in a local Tice upholstery cleaner? Upholstery comes in many more varieties than carpet and rugs, thus needs cleaning tailored to each specific blend. Even if you don’t know what material your sofa or chair is made with, a good upholstery cleaning service in Tice, FL will be able to identify it and treat it appropriately. Some textiles require dry cleaning and that can’t be done in home, so if that’s the case, check with the upholstery cleaner and see if they offer pickup and drop off services. Leather cleaning is a bit different and often involves more restoration and conditioning than actual cleaning. Make sure the Tice furniture cleaning service specializes in leather if you are considering them for the job. Find Tice upholstery and carpet cleaning services on Houzz. Narrow your search in the Professionals section of the website to local carpet cleaners in Tice, FL and read reviews and ratings to find one that fits your needs.